Fran digging in the very hard ground, a solitary yellow pan trap, the Malaise trap ready for action and Richard Bardgett in full flow. to some basic taxonomy, before we headed out to do some sampling and collecting. How many different techniques can you spot? 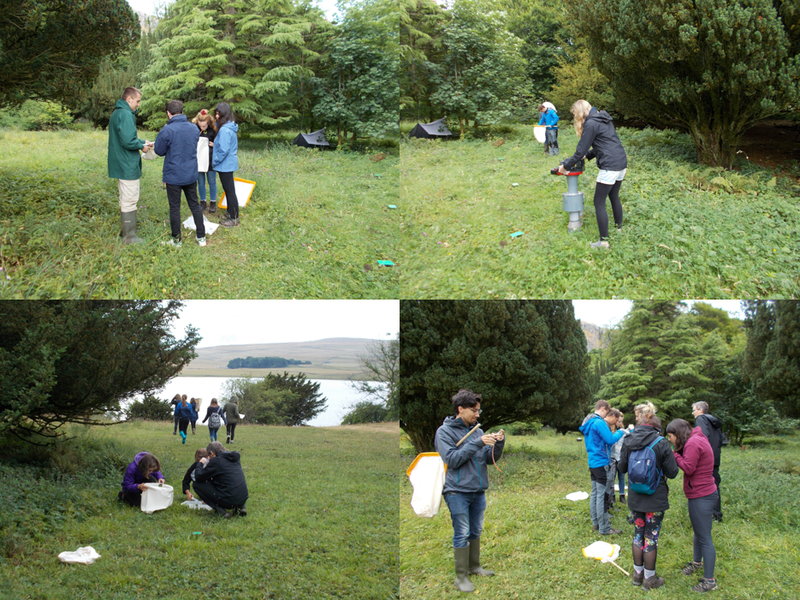 Keen beans – the students enjoying collecting and identifying insects. Two Outreach and Communication Officers busy Tweeting; both former students of mine, Fran Sconce of the Royal Entomological Society and Chris Jeffs from the British Ecological Society. Great to have had them there and many, many thanks to them both. 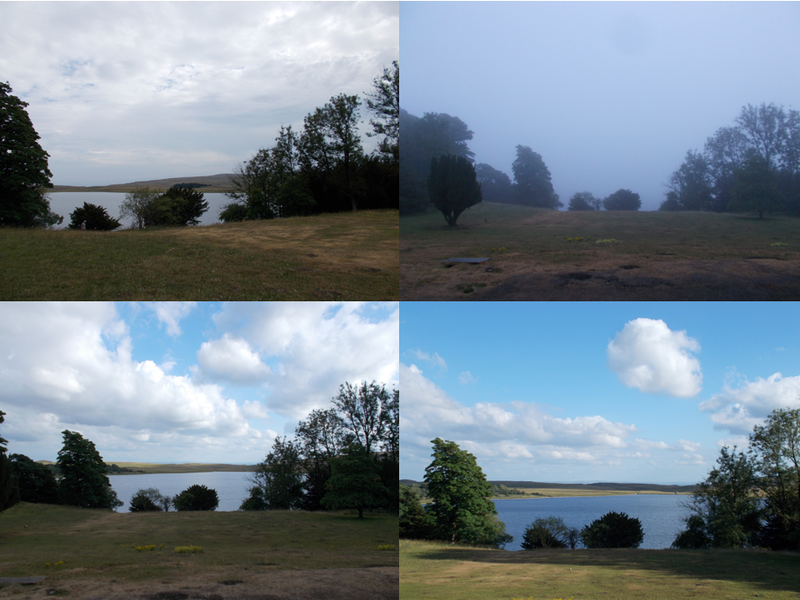 Monday through to Wednesday – the sun did shine in the end. Monday evening inspired a haiku. 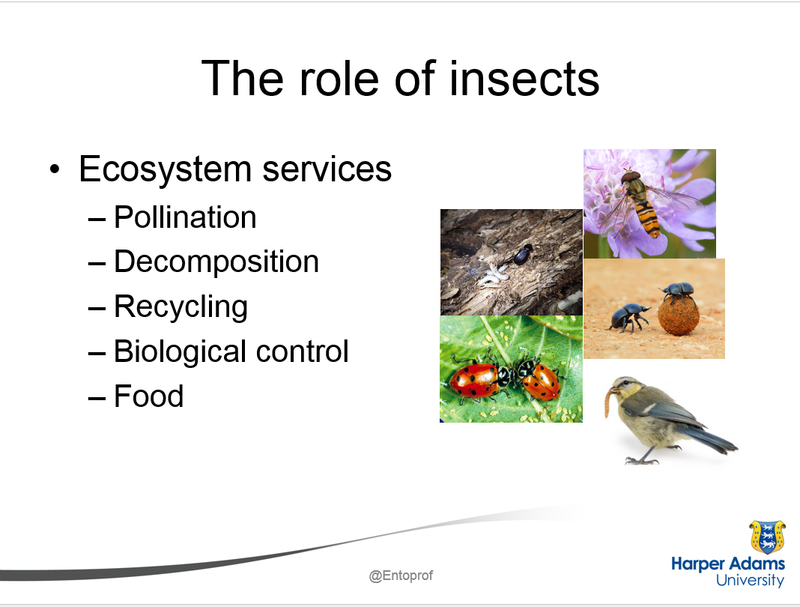 Entomology, although important, is of course only a part of the Summer School. The students get a chance to learn about other things too, including vertebrates and plants. 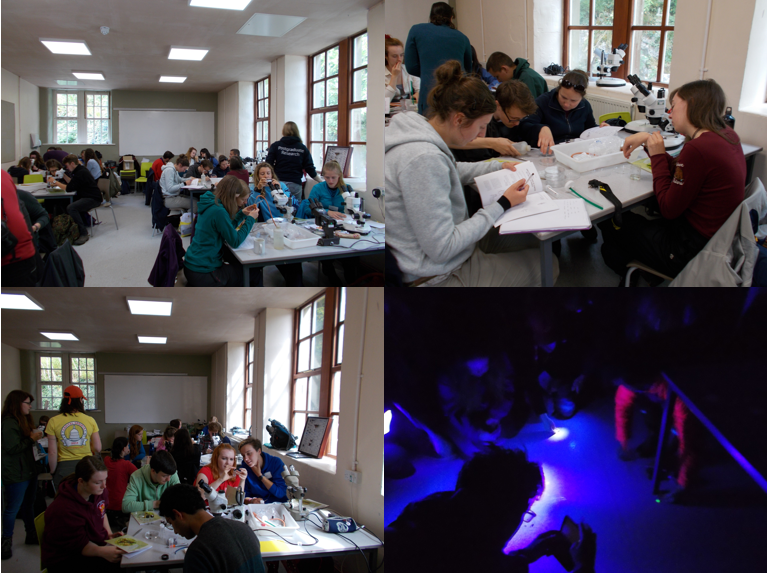 I was very impressed with all the students and how much interest they showed in entomology. 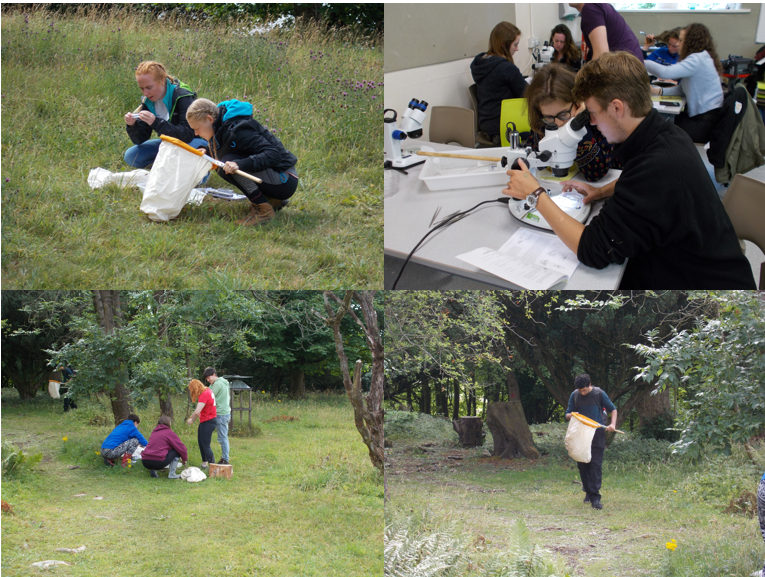 I look forward to seeing some of them on our MSc Entomology course at Harper Adams University in two or three years time. 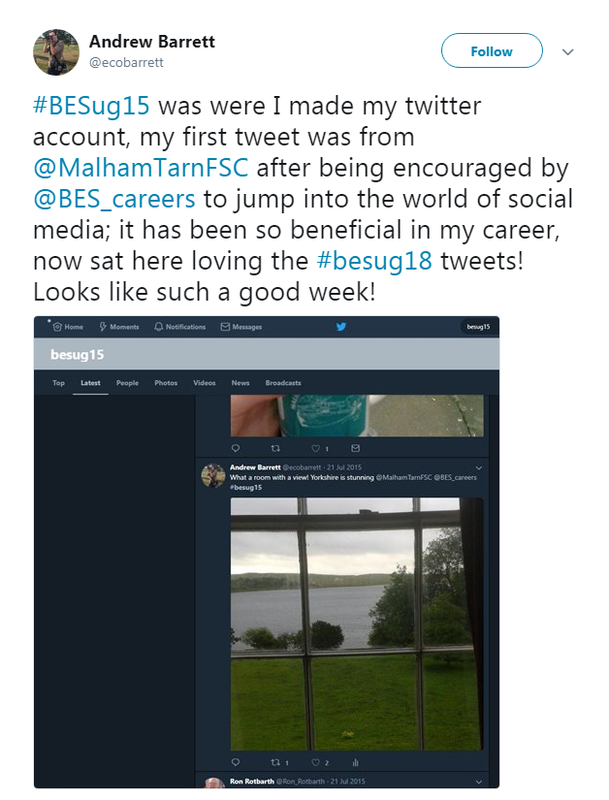 The British Ecological Society Summer Schools are a fantastic idea and they are much appreciated by the students past and present, as the following Tweet from one of the students from the first ever Summer School shows. Andrew Barrett extolling the virtues of Twitter and the BES Summer Schools. 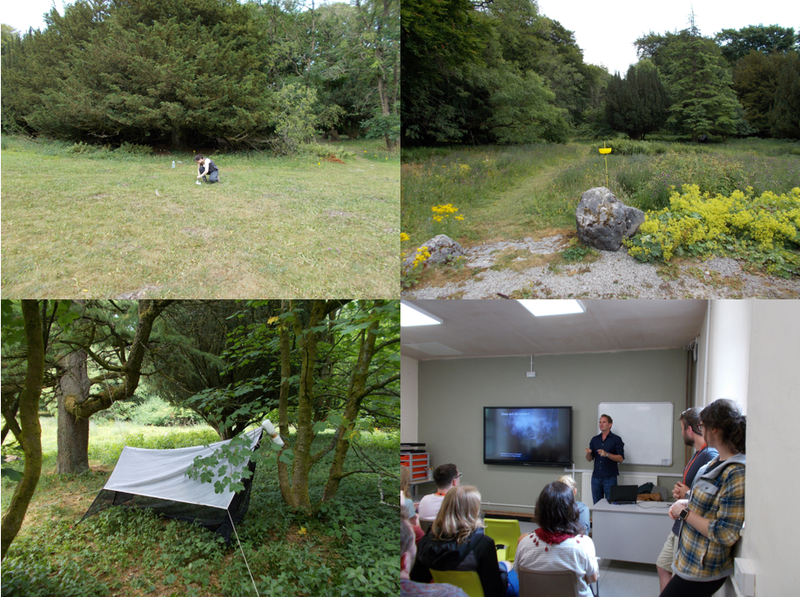 Incidentally, Andrew was one of the graduate mentors on the BES ‘A’ Level Summer School this year. Next year the Summer School will be in Scotland at FSC Millport, Scotland, which is a bit of trek for me, but never fear, I will be there! Looks very good and we certainly need the entomologists – but please explain to a southerner what is this thing called rain?